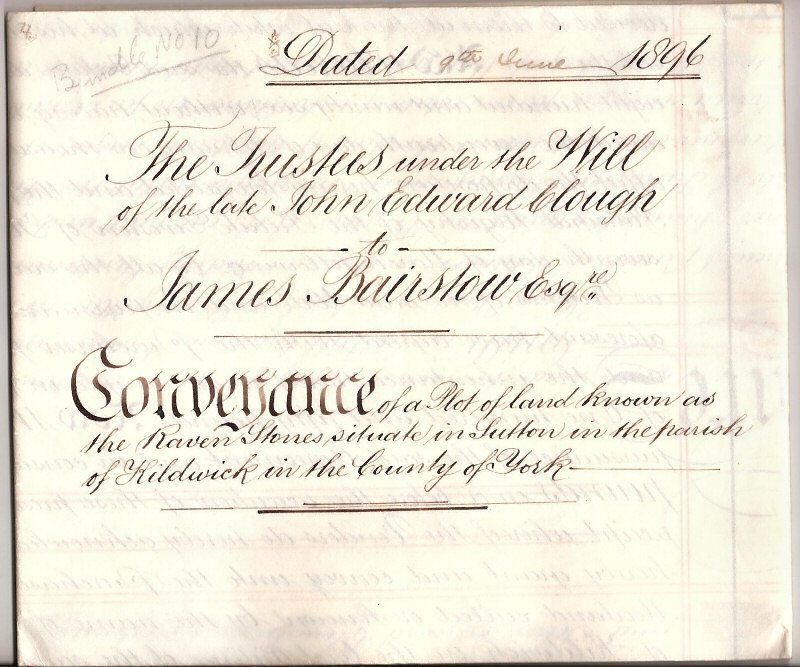 Above is a deed for the sale of land at Raven Stones which cost James Bairstow one hundred and fifty pounds. June the ninth 1896. 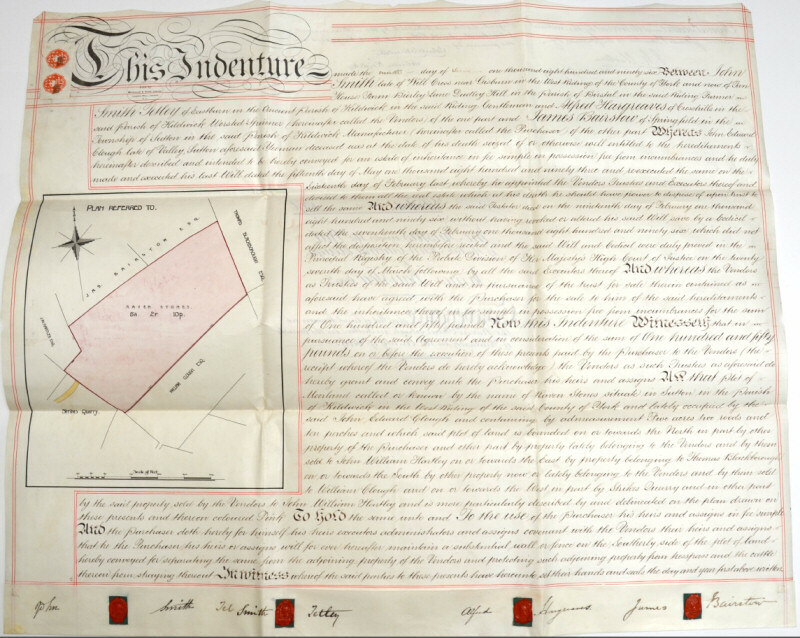 Clough at Valley acquired the land at the Raven Stones as part of the share out of the Common under the enclosure of 1815.